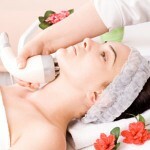 Electrolysis is a way of removing individual hairs from the face or body. Today’s medical electrolysis devices destroy the growth center of the hair with chemical or heat energy. A very fine probe is inserted into the hair follicle at the surface of the skin. The hair is then removed with tweezers.